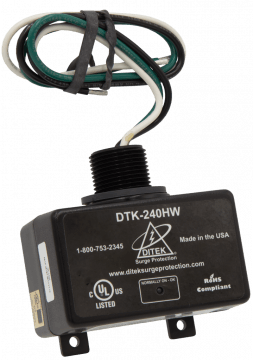 DITEK's DTK-240HW offers compact, parallel mount surge protection for dedicated 240VAC single phase branch circuit loads. 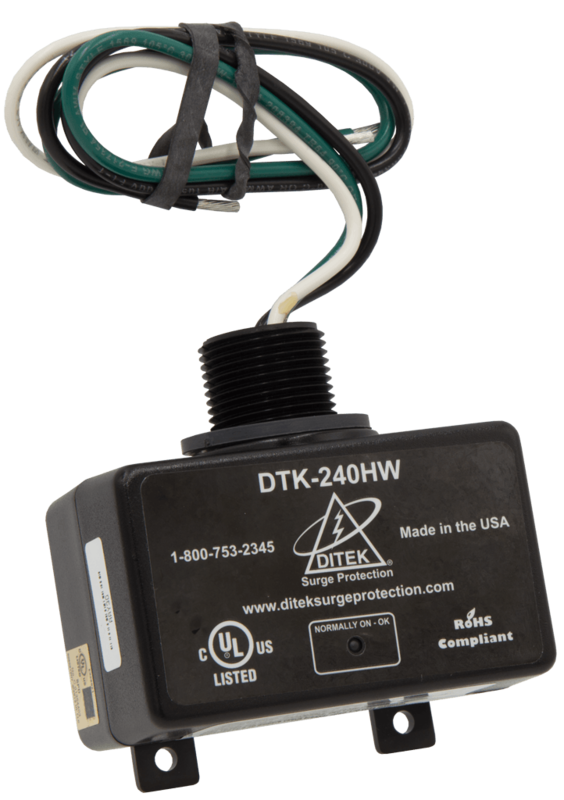 DITEK's CMXPLUS Series of durable, cost-effective surge protective devices are ideal for a variety of industrial equipment. 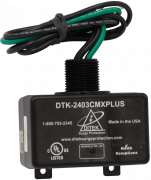 The DTK-2403CMXPLUS offers 240VAC three phase delta surge protection.